One of the hidden gems in Anjuna, is this tailoring boutique by the road that caters to both men and women. Meet Cosmos Tribe that’s been in business for decades but continues to work in mysterious ways. 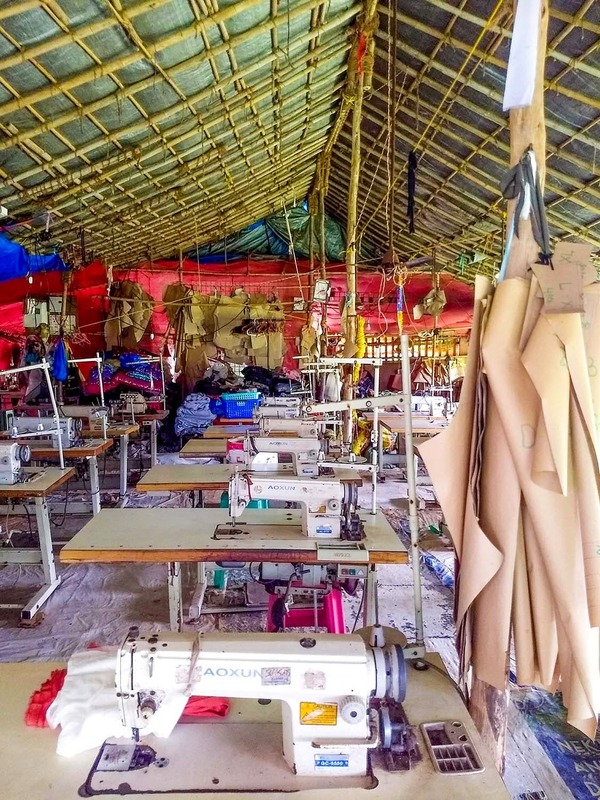 What seems like a one-man show with a fancy sewing machine and a few men’s shirts messily hung around, is actually a massive set-up with an army of tailors (in season time, he has up to 30–50 of them working). The story goes that the head of this tailor shop, Som, is originally from Nepal but has partnered with someone who’s helped with the machines (the investor person and all) to keep the shop running. Don’t ask us the exact sequence of events but what we know is, he stitches everything from chiffon gowns, to swimsuits (believe that?! ), jackets (leather, suede, cotton, linen and more), cargo pants, men’s shorts, summer dresses, shirts, jeans and more. And, how do we know all this? Well, we wanted to get our beach sheets turned into curtains and needed a hem on top and Som was happy to delegate and get it done swiftly as we chatted and lingered around. Meanwhile, we figured he’d also stitched yoga shorts for long stay tourists who came to pick them up on their scooters as we hovered around. They paid INR 300 for it. We’re told, a lot of designers who set up shop at the Anjuna flea market, sometimes commission bulk orders to him to stock up for the season flea. They use all the stock to set shop soon as the market season kicks off and a lot of it gets sold out before the designers fly back home. He even mentioned supplying to a store in London that presumably belongs to his brother. So, if you’re staying long enough around Anjuna and would like a designer dress stitched for a steal, hit up Mapsa for fabrics and discuss the design with Som (photos help unless you can sketch decently). Or if bae wants a funky beach shirt or another pair of shorts, he’s pretty good at men’s tailoring too. If you’re driving, it’ll be hard for you to pull up and park close by. We think that the shop’s also more visible at night, what with its lights and all. Som and his team has a half day on Friday so avoid making a trip post noon. But usually, they’re open from 10am to 8pm. His shop is is at the very beginning of the Anjuna beach road. If you're still lost, call Som for directions and timings.